Pav bhaji is undoubtedly an Indian street food very well liked in Mumbai but has slowly but surely gained its popularity all over India. Pav Bhaji was invented in Mumbai in the 1850s. It’s a spicy, buttery dish that reflects both the city’s multi-culturalism as well as its fast moving lifestyle. It’s the quintessential Mumbai meal. Street vendors invented it in the 1850s for the textile staffs in the city. Who were lacking enough time for lunch and who also did not want to have a heavy meal as working a physical job with an extra full stomach is difficult? An inventive vendor invented pav bhaji as the solution. Very simple yet delicious combination of mashed veggies served with hot buns roasted using a large spread of butter. Have it for lunch, dinner or whenever in-between. There’s no need to have a lot of at your home to put this together. Just a couple of different amounts of vegetables and a few buns. You can always replace the regular pav, unsweetened Indian bread or bun, with any choice of breads or bun you are able to get your hands on. It is just a spicy mashed potato masala gravy with many different vegetables (known as “bhaji” in Mumbai) and combined using a special masala powder called Pav Bhaji masala powder, served with pav, an Indian bread. Potato, tomato, capsicum, onion and garlic would be the recommended vegetables. Any desirable veggie you can include to make it much more fantastic. The tangy tomatoes give this chat a pleasant red color and potatoes give good amount of thickness to it. 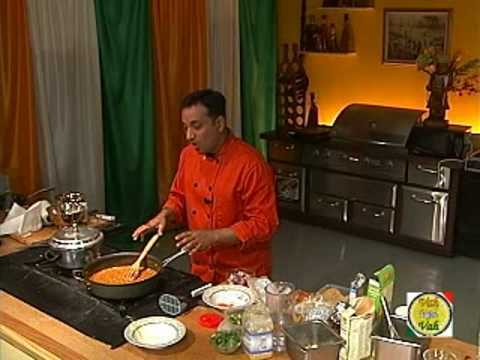 Pav bhaji masala is one that provides taste and flavor to this recipe. So use some good top quality masala or homemade one. You can also add some red chili powder, if the spiciness out of your selected pav bhaji powder isn’t sufficient. In respect to the desired consistency chosen, you can add water to the pav bhaji. ginger garlic paste 1 Teaspoons. Any other vegetables 1/2 Cup. Heat butter in pan and add cumin, chopped onion and garlic and ginger. Fry until garlic turns slightly brown. Add the tomatoes and gr chilies and cook with all spices till mashed and well done. Add all the vegetables. Salt and some water (add more water if u like the bhaji thin). Bring to Boil. Remove from flame and add butter top it with chopped onion, and Butter.